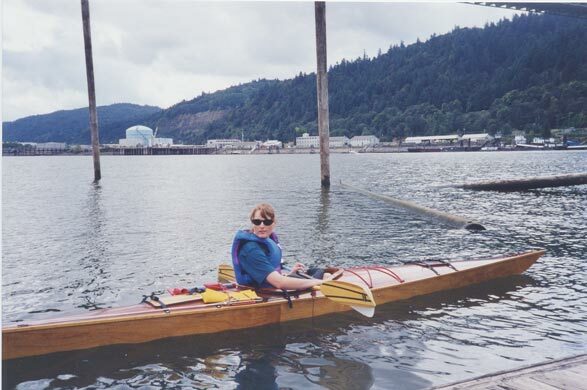 Our lives changed for the better once we built these kayaks. 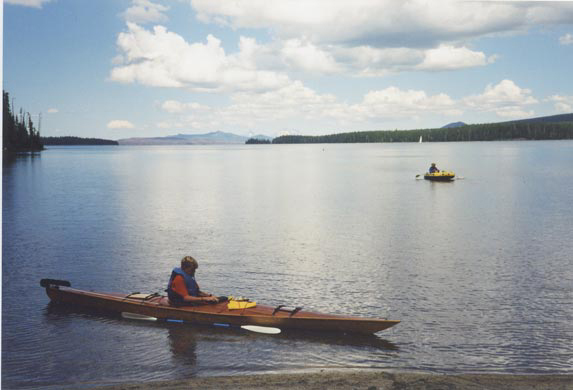 Kayaking is a tremendous way to enjoy the water, but even more so when it's in a wooden one. And the enjoyment isn't just limited to ourselves. 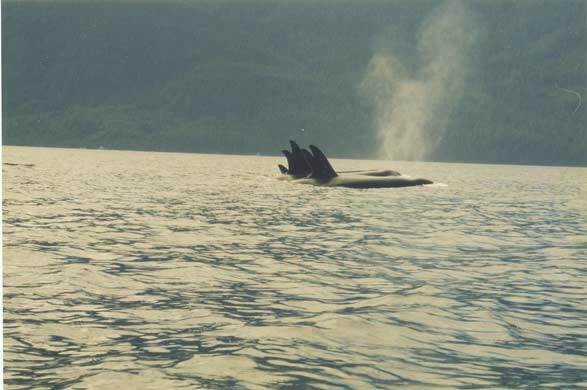 Everyone that sees them on the water is delighted by the sight. You just can't beat the beauty of wood! Click on any of the following thumbnails for a larger view. Each image is roughly 35K in size. 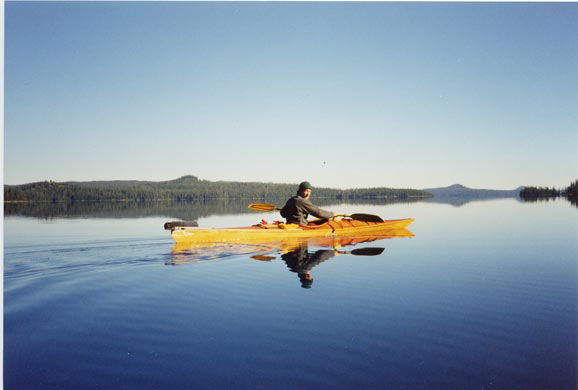 These two photos were taken on the beautiful placid waters of Waldolake in the mountains of central Oregon. Here we are by Mt. 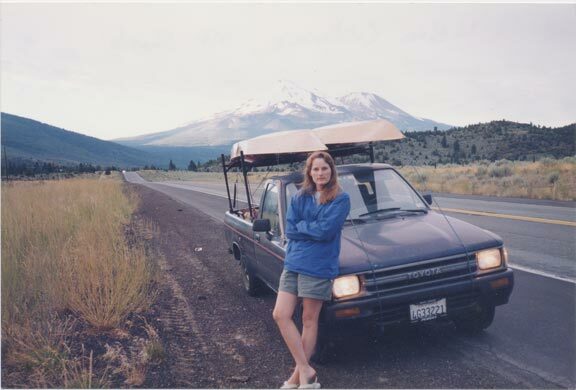 Shasta on our way from San Diego to the northern end of Vancouver Island ~ a long haul indeed! 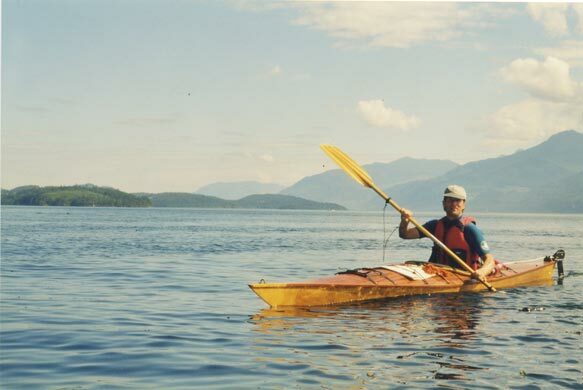 This was taken in Johnstone Strait at the northern end of Vancouver Island, BC. 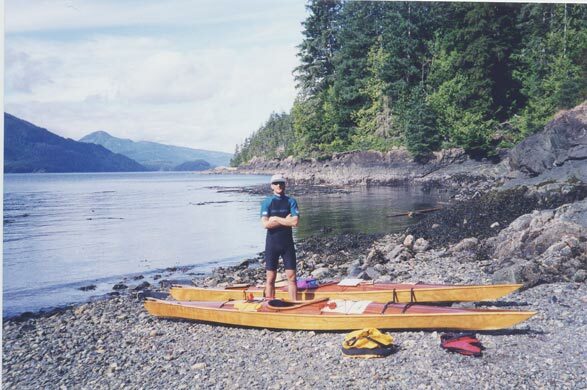 Consulting the map in Johnstone Strait , and beaching them on Hansen Island ~ one of the hundreds of islands in the area. 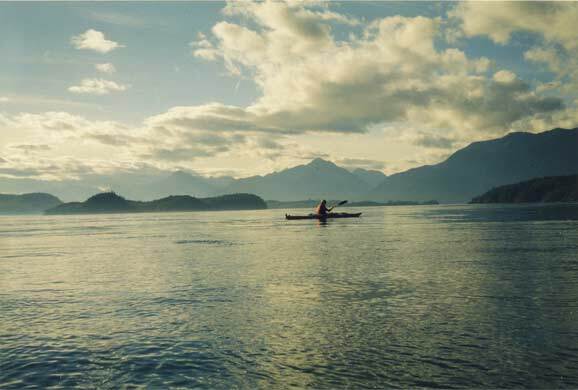 This photo in Blackfish Sound perhaps best captures the incredible beauty of paddling the coastal waterways of British Colombia. And look ~ it's not raining! 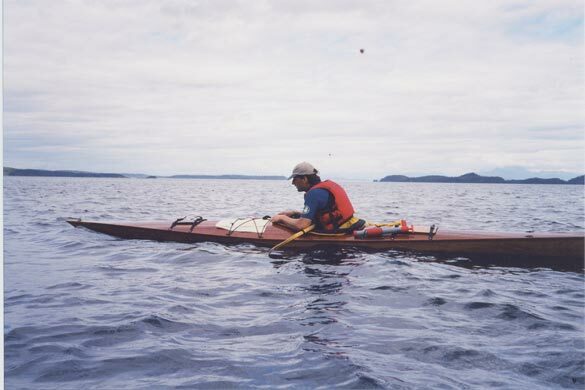 Then again, the real beauty of the area may lie in the fact that you can paddle alongside a group of killer whales. Maybe you can decide. 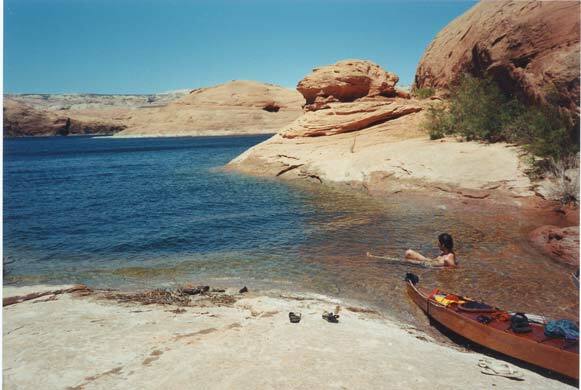 These two photos were taken at Lake Powell in Utah. 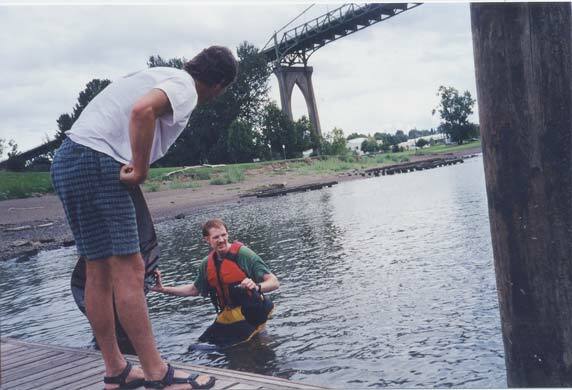 This was taken in the Willamette river in Portland, Oregon. And this is in the river in more ways than one. 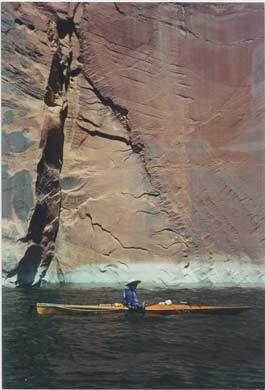 Occasionally a newbie, when getting in the boat, will exceed the limits of stability. 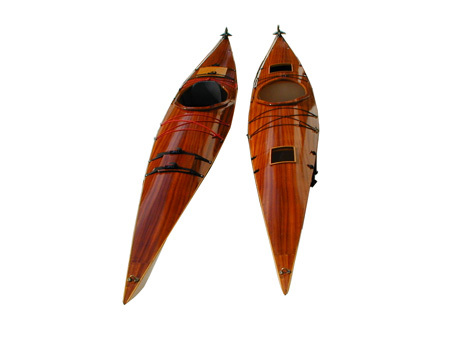 To see some photos of the kayak construction process click here.